Grades 3 & up. 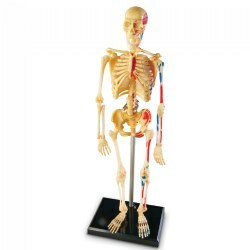 Plastic model includes a stand and guide with facts and photo-illustrated assembly instructions. 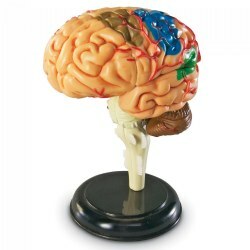 Features cerebellum, frontal, parietal, temporal and occipital lobes; corpus callosum, brain stem, hippocampus, ventricles, insula, corpus striatum, internal capsule and lentiform nucleus. Perfect in a nervous system center for a deeper understanding of how the parts of the brain work together. 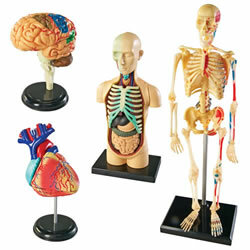 31-piece model measures 3.8"H when assembled. Grades 3 & up. Realistically detailed miniature plastic model includes a stand, a fact guide and photo-illustrated assembly instructions. 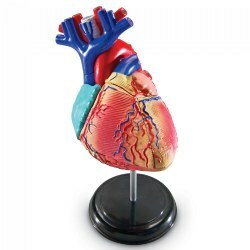 Features superior and inferior venae cavae, right and left atria, tricuspid valve, right and left ventricles, pulmonary artery, mitral valve, aortic valve and aorta. Opens when assembled so students can explore from the inside. 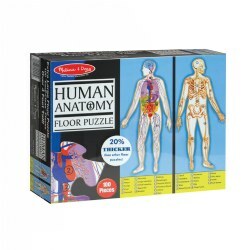 29-Piece model measures 5"H when assembled. Grades 3 & up. 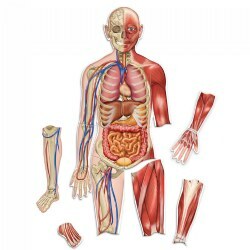 Gain a deeper understanding of how the human body interacts by manipulating it yourself. Realistically detailed miniature plastic model includes a stand, a fact guide and photo-illustrated assembly instructions. 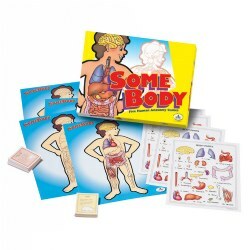 Features brain, skull, heart, rib cage, lungs, liver, stomach, pancreas, kidneys, intestines and spine. 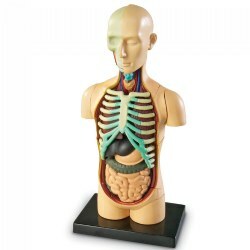 31-Piece torso model measures 4 1/2"H when assembled. Grades 3 & up. Realistically detailed miniature plastic model includes a stand, a fact guide and photo-illustrated assembly instructions. 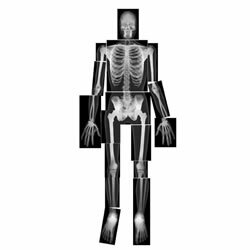 Features skull, rib cage, humerus, spinal column, radius, ulna, hand, pelvis, femur, tibia, fibula, foot and partial circulatory system. 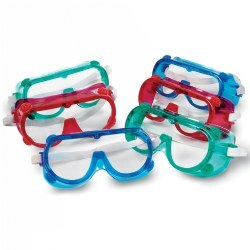 41-Piece model measures 9 1/5"H when assembled. 5 years & up. 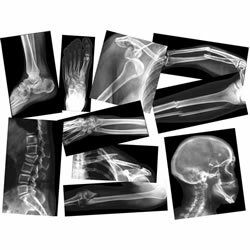 Real X-rays reveal a detailed look at common breaks to a variety of human bones. Hold up to the light or use on a light table. Informative guide is included. Grades 4 & up. 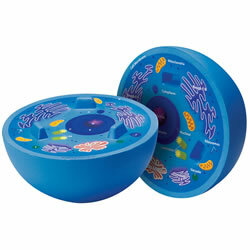 Features nucleus, nucleolus, vacuoles, centrioles, cell membrane, and more. Measures 5" in diameter. 4 years & up. Inspire good habits with these easy to read introductions to healthy living. 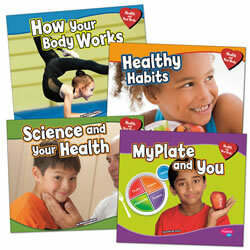 Whether learning about proper nutrition or understanding how our bodies work, kids will get the facts they need to help keep them in good health.